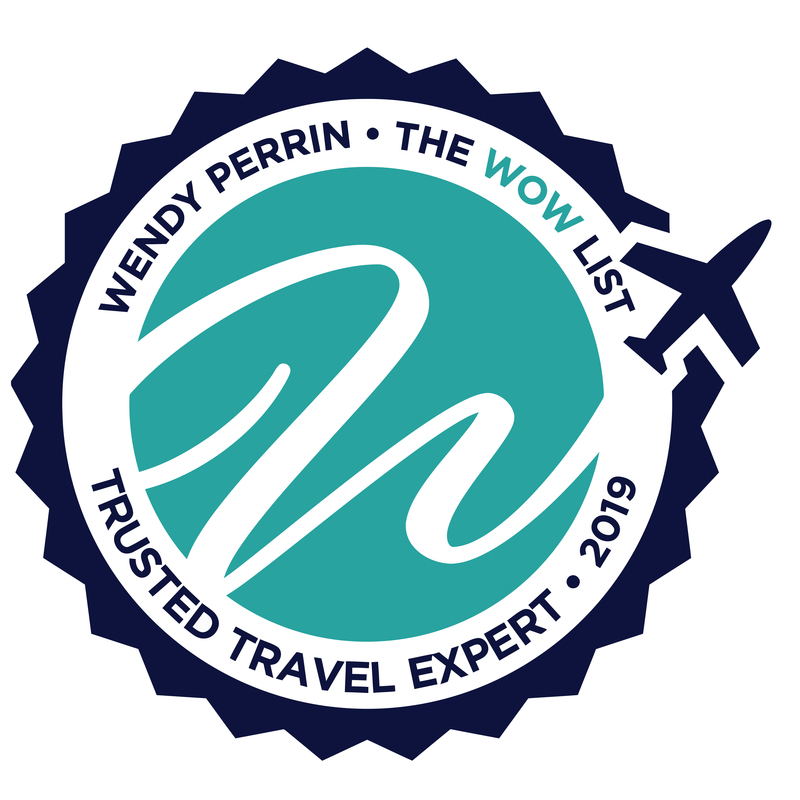 Michael Diamond is on Wendy’s WOW List of Trusted Travel Experts for his expertise and connections in Morocco. The reviews below are from real travelers who’ve taken trips that were arranged by Michael and monitored by Wendy. Safe, efficient and always there when we needed him. Michael knows Morocco cold. Very impressive. Even our guide made an offhand comment one day that when he is in the medina in Marrakech with Michael, Michael often shows him shortcuts, and our guide is a native. Flawless logistics (and we covered a lot of ground in Morocco). Clearly had good people on the ground making doing advance work before arrival at every hotel, activity, etc. I am detail oriented (OK, compulsive) as you know, and Michael’s people nailed it. Michael personally chose excellent guides, hotels, activities and restaurants for us – I almost never work with travel agents but he really listened and again, nailed it. Driver who accompanied us for our 10 day trip was excellent – safe, efficient and always there when we needed him. Harder than it sounds as you know. Overall, this was a great experience and a lot of that is due to Michael. Anyone can go and book an extremely expensive trip with top-notch hotels. That guarantees almost nothing in terms of how well the experience unfolds. We were in the right hotel rooms, seeing the right sights, doing the right activities the right way, from start to finish and it was completely stress free. Michael and his team made a great Morocco vacation for us. My husband has to use a walker (foldable) to walk, and can’t walk for a long time. Based on our special needs, Michael picked hotels with accessibility. These hotels have wonderful views, good restaurants, nice lounge area, like little resorts. Our guide and driver were very helpful, flexible and patient with us. The places we visited are all basically flat and accessible via walker. When there were few steps, our guide always helped us. When we were tired and wanted to cut short the tour in Medina, our guide and driver got us picked up as quickly as possible. Our driver loaded/unloaded our walker for us at every stop. We had a memorable trip to Morocco. Michael Diamond is an absolute wonderful travel expert concerning Morocco. We originally were scheduled to leave for our 2-week tour of Morocco in April, but due to illness, we had to cancel this trip and reschedule for September. Michael was extremely understanding, thoughtful and considerate in helping to reschedule the trip as originally planned. My husband and I had a wonderfully enjoyable tour through Morocco, well planned and executed with both an exceptional guide and driver. Our guide, Hussane, was very well versed in all of the historical facts and also concerned for our well being in every aspect of the 2 weeks we spent together. Our driver, Mustafa, was just as considerate and concerned, and an excellent driver. Michael was determined for us to have Hussane and Mustafa for our time spent in Morocco. The hotels and kasbahs where we stayed were fabulous. Both my husband and I are well-seasoned travelers, and we were so thrilled with this spectacular trip to Morocco that would not have been possible without Michael Diamond. Anyone who wants to have the most exciting and enjoyable trip to Morocco must use Michael. Michael Diamond planned an extraordinary trip to Morocco for my husband, me, and our three adult children. He contacted me immediately and helped me plan an itinerary that took us to Marrakech, Fes and the desert. The first itinerary he came back with wasn’t to my liking as I wanted to stay longer in Fes. He went back to the drawing board and came up with a great plan by reversing the order of the destinations. We stayed in wonderful places and, most important, he provided us with the most amazing guide and driver. Having this extraordinary guide was definitely the most valuable part of our trip. Except for the time we spent at our riads, he accompanied us for the entire time. He arranged private visits to souks in the medinas, a great hike with a local guide in the High Atlas mountains, another one in the Toghda Gorge area, and a colorful, local old guide at Volubilis whom we will never forget! Our trip to stay at a luxurious encampment (private bathrooms with showers! air conditioning!) in the Sahara Desert was definitely a highlight of the trip for us. None of us will ever forget the camel rides to the top of the dunes for sunrise and sunset. Michael’s restaurant recommendations were key since one of our daughters is a vegetarian and another has many food allergies. He made all of our reservations and made sure all of the restaurants were aware of our special requirements. This was a perfect trip and I very highly recommend Michael Diamond to anyone planning a trip to Morocco. Michael did an excellent job of working with me to design a trip that was perfect for us. His approach was unique from others in that we had a driver and a guide. This was important to me. I considered other vendors but none of them offered this. His choice of hotels, activities, and restaurants was excellent. If something needed changing his guide did an exceptional job of altering our itinerary or events. Michael also arranged for an expediter firm to meet us on our arrival and ease us through Moroccan customs and immigration. Our driver always arrived with an immaculately clean car and plenty of drinking water. We continued our trip beyond Morocco so our driver got our clothes washed, actually dry cleaned, for us. Our guide, Marwan, arranged for our Marrakesh hotel chief to make vegetable soup when we just did not feel like a big meal. The soup was excellent. Many of the items listed above indicated to me over and over that Michael and his team were the right choice for us. We really enjoyed our trip to Morocco that Michael arranged for us. Our guide, Mohammed and our driver, Mustafe, were absolutely terrific. The accommodations were great and varied. Our trip to the Sahara did not go as planned; we arrived in the middle of a sandstorm, quite exciting. There were 9 of us, and Michael responded to requests from many of us prior to the trip. I would recommend him. Michael was instrumental in planning our two week trip to Marrakech and Fez. We concentrated on architecture and design as I attend design school. He listened carefully and created an itinerary that covered not only major points of interest but quirky places off the beaten path. We spent many fun and interesting days with our loyal guide, Hassime. We began our time together in Marrakech and were delighted when he informed us that he would be joining us in Fez. It was emotional when everything came to an end, as he had become a son to us. Sometimes, a local designer would join us to expertly explain and expose us to different aspects of the industry; I helped weave a huge, black and white Berber rug, on the loom at the medina showroom. In a lighting factory in the industrial area, I observed metal being intricately cut and filed to create breathtakingly beautiful sconces and pendants of huge proportions. I created and fired my own 8-inch square, black and white tile, in a factory outside the city. We watched men hand carve cedar with intricate, geometric, design, forming screens, doors and decorative woodwork. We visited the tannery and to watch leather being dyed. In a tiny shop, through a cave in the medina, we observed silk, of agave, woven into fabric on the loom. Moroccan colors are the most vibrant I’ve seen. Everybody was smiley and happy to allow me to watch them work. They gave me hand-carved spindles and tassels and samples of glittering passementerie and braid. One gentleman carved a shoehorn, out of real horn for my husband. Hassime asked him to please make a small hole in the handle, and I attached a tassel. The last factory we visited was my favorite. It is a porcelain factory where all kinds of tiles and pottery and vases and dinnerware are created and hand painted. The mosaic designs on wrought iron table tops are out of the ordinary. I am planning on ordering two. In addition to ALL of this, Michael ensured that we saw every museum, garden, palace, spice market, and minaret. He helped me with restaurant reservations when my hotel was letting things slide. He arranged all transportation, and there was a lot. Always with a clean, shiny Mercedes SUV, that was on time, even at 2 am. “Lawrence of Arabia” vibe so I could see how it’s done. Honestly, I could go on, but I am sure you get the gist. I asked Michael if he did any other countries, say India? and his response? “No Sandra, I don’t. I’m a Moroccan kind of guy”. Michael Diamond planned a truly extraordinary trip to Morocco for my husband and me. He exceeded my expectations from the very start, which is tough because I am a frequent traveler and have high expectations. He took such great care in asking important questions and listening thoughtfully to my responses in order to plan a personalized trip with the perfect hotel choices (we prefer small over larger properties), relaxing and efficient pace of travel, wonderful dining reservations, and excellent private guides and drivers. He even planned a day with a designer to assist me in shopping for rugs and apparel in Marrakech. I loved that Michael did not approach the trip from routine travel plan but he really planned every element just for us. It was evident from the beginning that Michael has been planning bespoke trips to Morocco for a very long time and has the very best contacts in the country. He was so patient as I adjusted my trip itinerary a few times before locking in a plan. We stayed in Rabat, Fes, Marrakech, Skoura, and Casablanca. Michael checked in on us during our vacation, which was thoughtful. Our favorite experiences were the tour of Volubilis, the medina of Fes, the shopping day in Marrakech and our stay at Dar Ahlam in Skoura. Michael was also super speedy in adapting our schedule at the last minute when our international flights were canceled and rebooked for an earlier arrival in Casablanca. Michael responded to my urgent request early in the morning on the actual day of departure in scant minutes and assured us that our guides would be there to meet us at the new arrival time. Oh, and I forgot to mention that pleasure of having the VIP airport service at each stop where it is available. It was such a wonderful travel experience! I cant think of a single misstep. I would not hesitate to recommend Michael Diamond. Thank you, Wendy, for leading us to Michael. Our trip, planned by Michael Diamond, was spectacular. The only faux-pas, not on Michael, was that we had to wait about an hour at the CMN airport for the guide/driver to arrive (apparently there was a traffic tie-up) and I, unfortunately, wasn’t given the 24/7 contact information for Morocco and had no choice but to reach out to Michael via WhatsApp (but the reception was poor). While I feared that this was emblematic of what was to come, I could not have been more in error. The rest of the trip was INCREDIBLE! And our guide, Hassan, was beyond amazing – a 15, on a scale of 1-10! Michaels riad selections were outstanding, as were his restaurant recommendations. I would recommend, without hesitation, Michael for anyone going to Morocco! 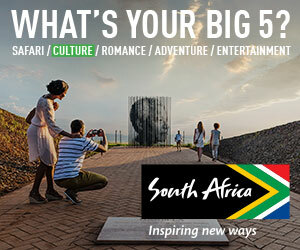 An eye-opening, fun and adventurous trip! My family’s Morocco trip was organized by Micheal Diamond in March 2018. It was an eye-opening fun and adventurous trip! We did motorcycle rides, camel riding, cooking classes, pottery and of course walking around in the medina. It was well organized at a good pace. We liked our tour guide, he connected well with the kids and the driver was always prompt. I highly recommend Micheal for next trip and anyone who is thinking of exploring Morocco! Michael Diamond planned a wonderful trip for our family to Morocco. He selected perfect accommodations given what we had requested in advance. The time spent in each city was perfect. He secured us the best guide. Even my Millenial children commented how good Mohamed was. One night I asked everyone what was the best part of the trip. They came up with many different answers (how good is that?!?!?) but universally agreed that the best day was shopping in Marrakech with a local designer who guaranteed great quality and best pricing!! The only glitch was finding the airport expediter the last day but it finally did get resolved. Our driver failed to call when he was an hour away. Michaels team on the ground eventually cleared up his mistake and we made our next flight in plenty of time. I would have no reservation recommending Michael Diamond and his team to plan a trip to Morocco. We very much enjoyed the Morocco trip Michael Diamond planned for us. We already had flights booked in & out of Marrakech, so travelled October 1-15, 2017 in a circle from Marrakech to Ouarzazate, staying in the oasis town Skoura, then to Erfoud to the desert-dunes, next onto Fes, then through Volubulis Roman ruins to Rabat, Essaouira, then the beautiful Ourika Valley & national park. It was exotic, diverse, historically very interesting, sophisticated with Arabic design, great food (pomegranates were ripe), lovely hotels both in the medinas and the cities & desert. The guide and our driver were excellent and responsive to our questions, needs and special requests. Highly recommend Michael Diamond. Wonderful introduction to Moroccan culture, history, and life. We had a fantastic trip. From the moment we arrived and were met by the VIP service in Casablanca airport, everything went smoothly. Loved all the accommodations – Riad Fes, Kasbah Tamadot, and Villa des Orangers. Villa des Orangers more than Riad Fes, mostly because of the spacious bathroom. Although I loved the rooftop terrace at sunset at Riad Fes – magical. We had the “A” team with guides Mohammed and Hassan and our driver, Youness. They were amazing. I think Mohammed is the best guide I have ever had. He is an amazing storyteller and provided us with a wonderful introduction to Moroccan culture, history, and life. The hikes and hiking guides in the High Atlas Mountains were also exceptional. The cooking class at Palais Amani was really fun. The vegetable tagine was the best tagine we had the entire trip. The lunch we had with Mohammed at Café Nejjarine was the best Moroccan meal we had other than our cooking lesson. A fabulous trip full of great memories with my adult son! Michael Diamond is superlative and I encourage anyone going to Morocco to utilize his services. He customized a fantastic honeymoon in Marrakesh for my children from 9/29/17 through 10/1/17. He listened to what they wanted and planned accordingly. The tours, tour guides, and accommodations were fantastic. When we missed our flight from Madrid to Marrakesh we called him at 7 am and he was there and had us fixed up within an hour with our private transport at the airport when we arrived. The kids felt like they got to experience the real Marrakesh and just wished they had more time. I will use Diamond again. Michael Diamond did a fabulous job with the itinerary, and our guide (Zouhair Aarab) was truly a special guide. He was always on time, very knowledgeable, and very pleasant to be with. He made our trip to Morocco very special. After the trip we feel like to come back to Morocco again and again. Also a very big thank you to Wendy for introducing us to Michael Diamond. This was truly a trip of a lifetime.